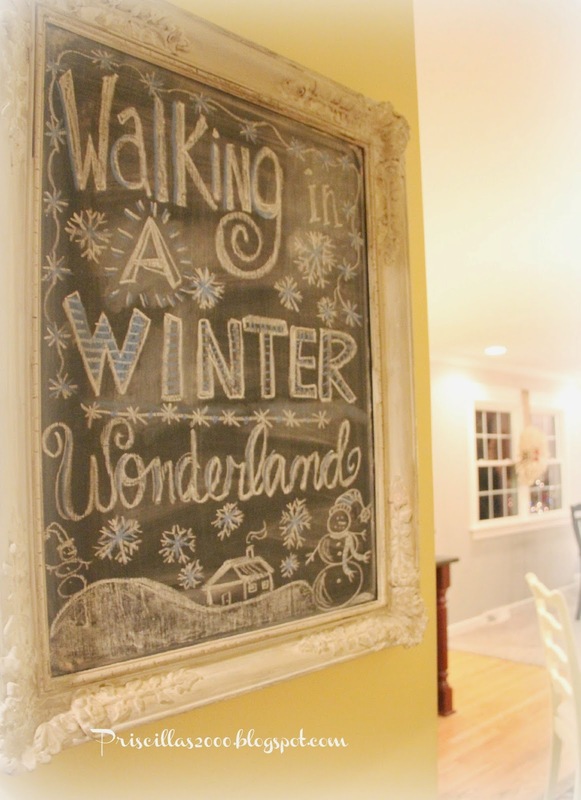 My first post for 2015 is all about the seasonal chalkboard ! I used the colored chalks again ..just the blue.. It is a winter wonderland outside ..or just the frozen tundra ! It is -6 outside ! 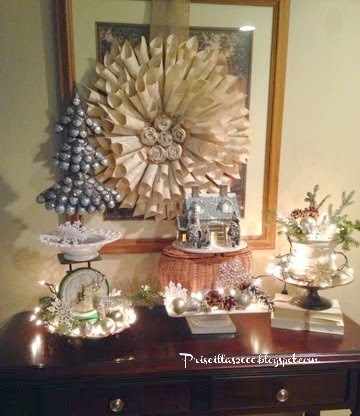 A little peek at winter in the family room .. It's been so cold in NM too. We got 10 inches of snow a couple of days ago. Your chalkboard is so nice! Your penmanship makes it extra special. Your home is always beautiful! Wow! That is cold!!!! Stay in and stitch!!! 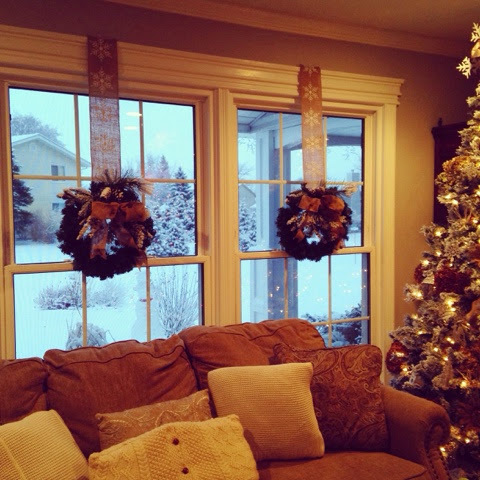 Love the view from your windows of the winter wonderland! Your chalkboard looks great; your penmanship is so pretty. 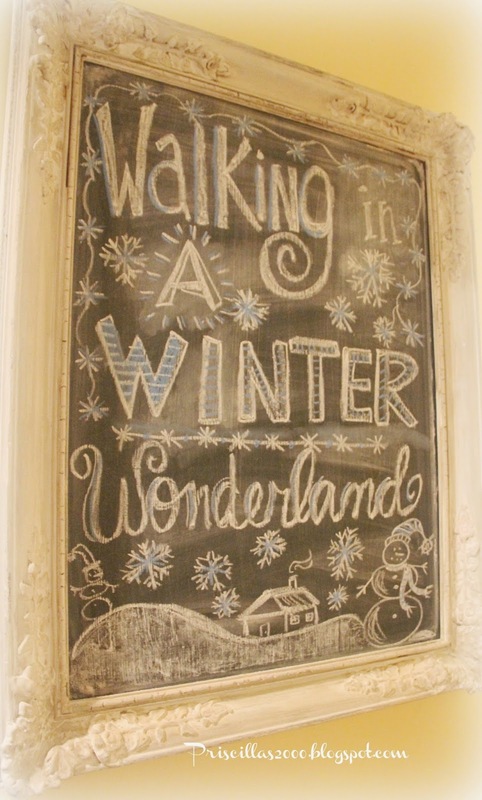 LOVE that chalkboard and the Winter Art!! Beautiful!! Your winter decorating looks so pretty. Stay warm!! Brrrr that's cold, take care and keep warm!!! 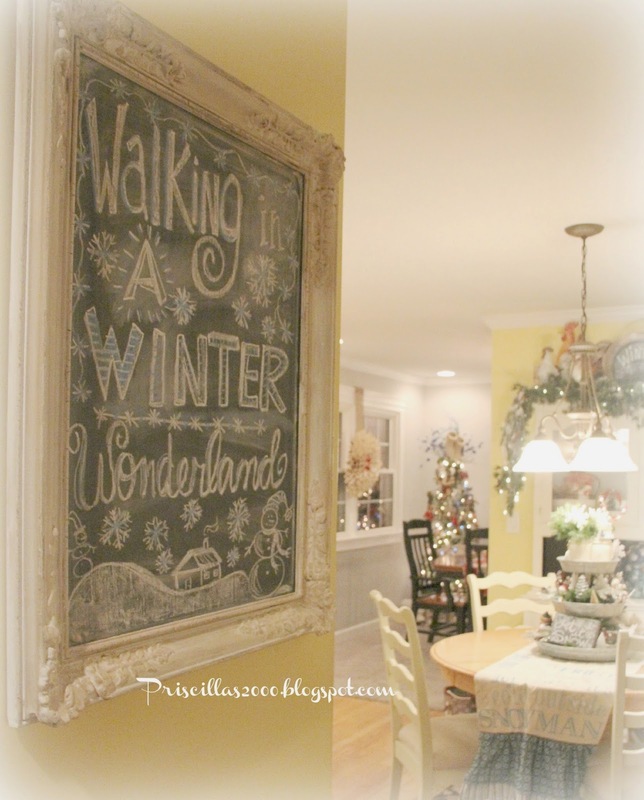 Love your winter chalk board! I have a big chalk board in my kitchen made from my grandmother's dresser mirror and try to change it up for the different seasons. Your home is beautiful! 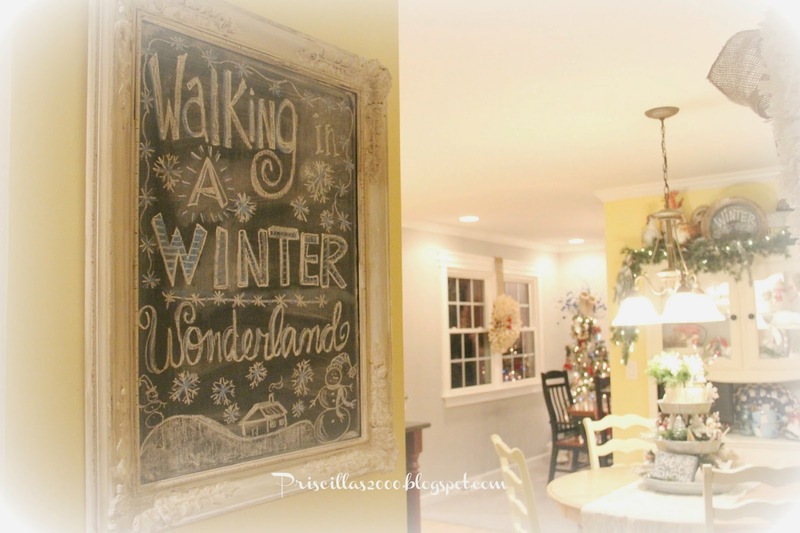 Love the chalkboard and winter vignettes! Love the chalkboard and your decorating style! Wow, I am loving your seasonal chalkboard! I absolutely love the frame. Where did you get it? I will take a peek around your blog to see if it was a project that you posted. I would love to get a chalkboard just like it! Love the chalkboard Priscilla! I just cleaned mine off and now I am looking at a blank slate. Guess I'd better get er done tomorrow. lol! Your décor looks warm and cozy. You have inspired me to get out some chalk! I love how cheerful and sunny you have made your kitchen I'm sure it helps keep everyone thinking positive. I do L O V E your chalkboard designs, dear friend!!! Our kitchen chalkboard has Menu written above. . .but I would LOVE some SNOW. . .so, I'll give it a try!!! Thanks for inspiring me to do some Seasonal changes within the kitchen art with chalk!! !